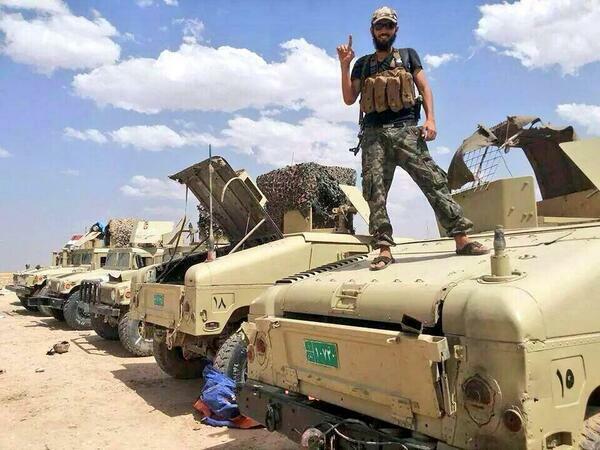 Al Qaeda terrorists celebrating over American Army equipment in Mosul. Main [Turkish] opposition Republican People's Party (CHP) leader Kemal Kılıçdaroğlu has claimed that the government sent trucks full of arms to Islamic State of Iraq and the Levant (ISIL) militants fighting the Syrian regime, stating that the CHP will soon share the details of the government's transfer of these arms through certain documents. Makes the detailed case that Maliki has fallen from grace because he didn't do what he was told to do by the US. The PKK has released the minutes of the 1 June 2014 meeting held in Amman to launch a joint attack by the ISIL and Iraq’s autonomous Kurdish government. According to Turkish newspaper Özgür Gündem, the meeting was allegedly prepared during Massoud Barzani’s visit to Amman, on May 27, later to be held under the auspices of the United States, Saudi Arabia, Qatar, Israel and Turkey. And is it a coincidence that Iraqi Parliamentary Speaker visited Turkey on June 2 on an unofficial tour and the Mosul surrendered to the ISIS on June 10 by the speaker’s brother Esil Nujayfe? This page was last edited on 17 October 2016, at 00:45.